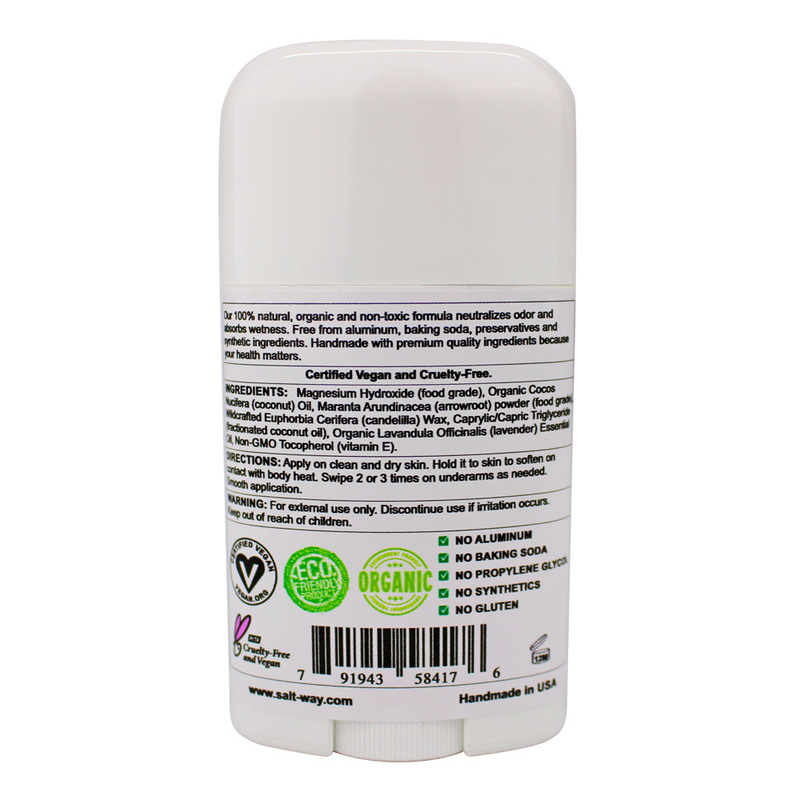 Our mineral and plant-based deodorants are formulated to protect your body from toxic chemicals that are commonly found in antiperspirants. 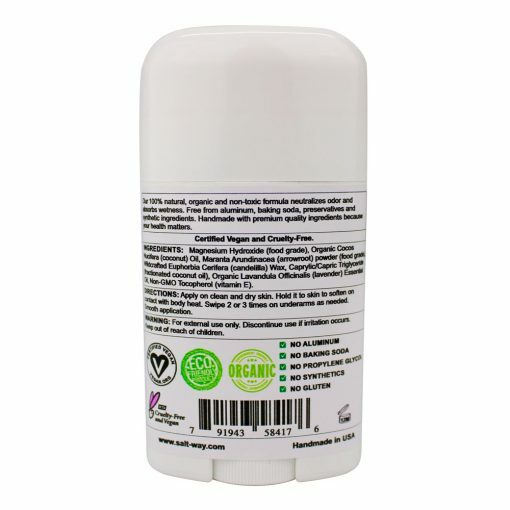 Its natural, organic, and non-toxic formula neutralizes odors and absorbs wetness without blocking sweat glands. Unlike most deodorants, it’s 100% free from aluminum, baking soda, preservatives, alcohol, and synthetic ingredients. 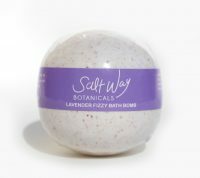 The clean floral aroma of lavender is gentle and relaxing. Great for anyone, any gender and any age. 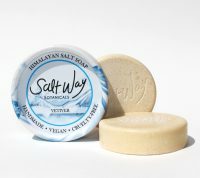 – Plant-based and mineral ingredients. – Free from Aluminum, baking soda, propylene glycol and synthetics. – Great for sensitive underarms. – Absorbs wetness and neutralizes odor. – It doesn’t clog your pores. 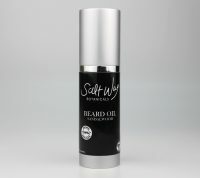 – Organic and natural ingredients. 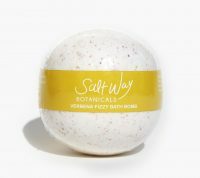 – Scented with essential oils. 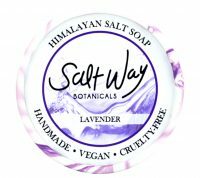 – Certified vegan and cruelty-free. 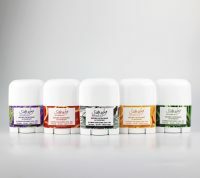 – Green alternative to conventional antiperspirants. Directions: Apply it on clean and dry skin. Hold it to skin to soften on contact with body heat. Swipe 2 or 3 times underarms and reapply it throughout the day if necessary. Smooth application. For external use only. Do not use if you have any known allergies to the listed ingredients. 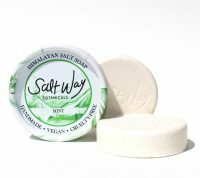 Ingredients: Magnesium Hydroxide (food grade), Organic Cocos Nucifera (coconut) Oil, Maranta Arundinacea (arrowroot) powder (food grade), Wildcrafted Euphorbia Cerifera (candelilla) Wax, Caprylic/Capric Triglyceride (fractionated coconut oil), Organic Lavandula Officinalis (lavender) Essential Oil, Organic Melaleuca Alternifolia (tea tree) Leaf Essential Oil, Non-GMO Tocopherol (vitamin E). The deodorant is quite amazing and I am very picky with what I wear. My kid and I tried the salt way lavender deodorant and we both loved it. It has lavender my favorite smell and I’m happy I finally found a product that works perfect for me. 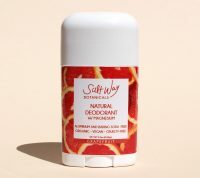 Salt way deodorant is awesome! It lasts all day, even through my vigorous RPM class. Regular deodorants cause me to break out with painful lumps under my arms. 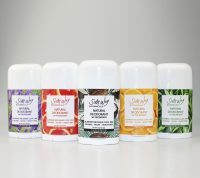 I am happy to have found a natural alternative that works better than any regular deodorant on the shelf at the store. 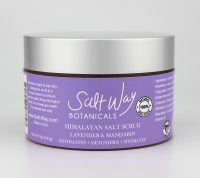 Thank you Salt Way for a great product and your concern for the people using it!! 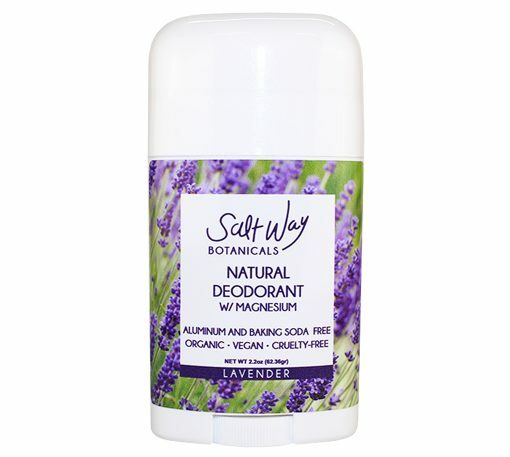 I have always been very skeptical about “natural deodorants”. Quite frankly, they are ineffective. 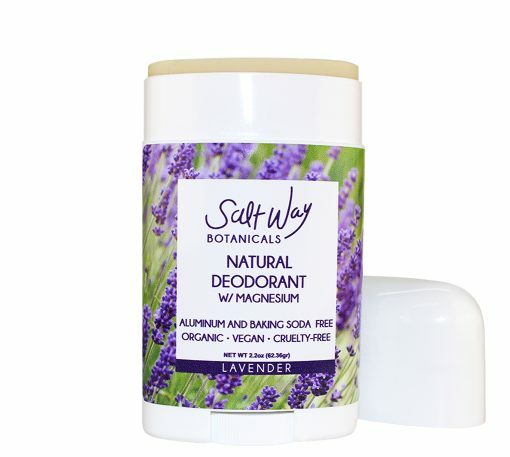 I was pleasantly surprized and impressed with Salt Way’s natural deodorant. It works! I highly recommend it. 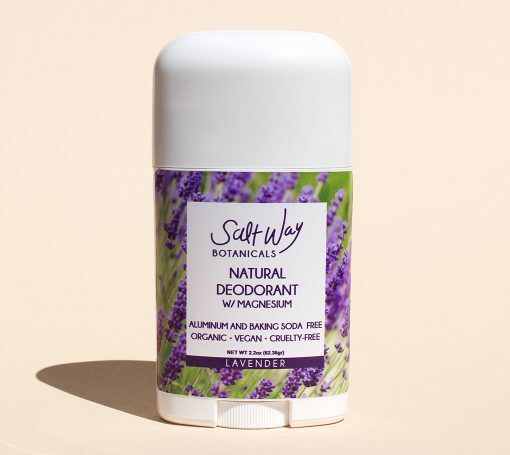 I tried a bunch of other natural deodorants, but this is by far the best one. It lasted me all day. I tend to have allergic reactions to a lot of deodorants and this one has been amazing. I love it!! Smells great, goes on easy and worked from first day. I do recommend it.